This is such a pretty and original candle holder, it can hold up to five candles. It is cute and has a glittered, crystal like design on the outer of each candle holder, in a stripe down the middle and bordered with a mirror finish. There is also a band of crystals along the base of the candle holder. 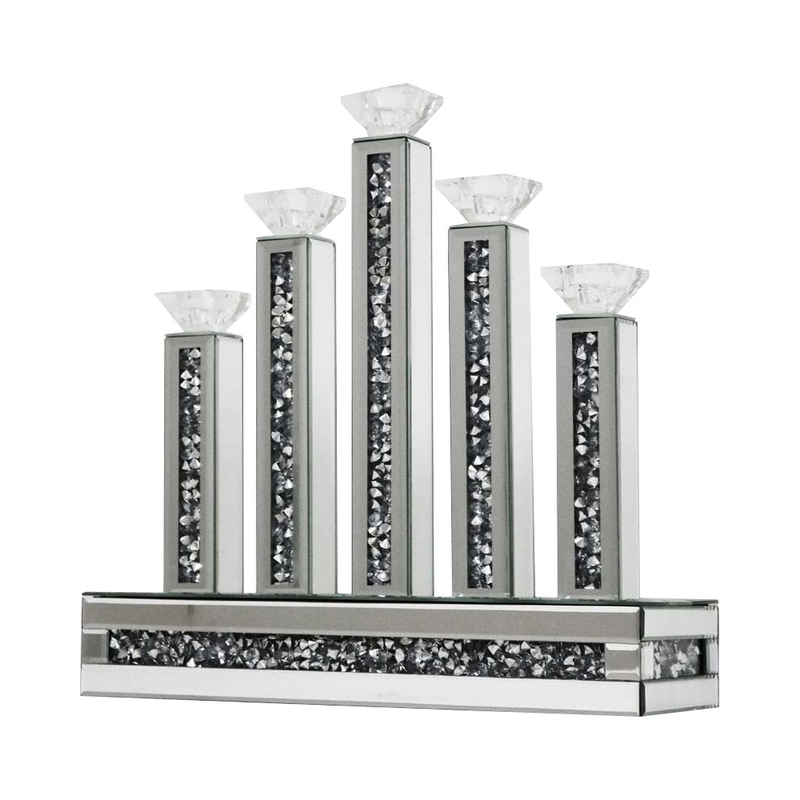 This candle holder is from the Gatsby collection.